The industrial revolution took place best where cheap water transport by canal, navigations, or shipping by all types of watercraft on natural waterways supported cost effective bulk transport. Containerization revolutionized maritime transport starting in the 1970s. "General cargo" includes goods packaged in boxes, cases, pallets, and barrels. When a cargo is carried in more than one mode, it is intermodal or co-modal. Containerization greatly reduced the expense of international trade and increased its speed, especially of consumer goods and commodities. It also dramatically changed the character of port cities worldwide. InSynergy is registered with the Directorate General of Shipping, Government of India as an authorized Multimodal Transport Operator (MTO) as it is called which is also referred to as Non Vessel Owning Container Carrier (NVOCC). InSynergy is authorized to issue its House Bill of Lading which is covered by the liability insurance. Besides, for doing shipments to the United States, the forwarders are required to be duly registered with the Federal Maritime Commission (FMC) of the United States and InSynergy is amongst the few such companies to have this registration and thus are in capacity to issue their HBL for consignment to the US coasts. InSynergy, with is branch office located at Mundra and Mumbai in the West coast of India, Chennai in the South Coast and Kolkata in the east coast of India, cover all the major sea ports of handling and the dry ports are covered by our offices located at Delhi, Noida, Ludhiana, Bangalore and Hyderabad, this covers almost 85% of the containerized Cargo handling and 68% of the bulk cargo handling capacity across the country. 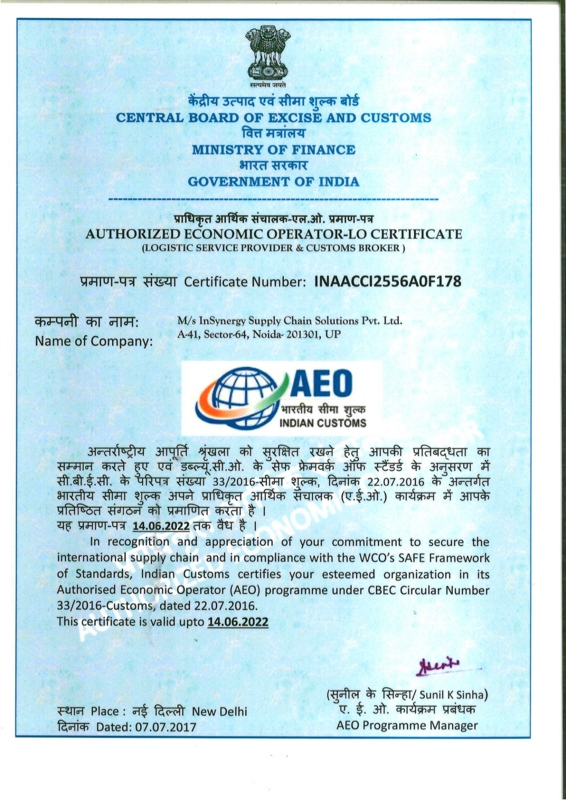 Besides having the authorization as an MTO & FMC, InSynergy has been certified as an Authorized Economic Operator (AEO) under the AEO program of the World Customs Organization, by the Government of India (Ministry of Finance), both as a Freight Forwarder and a Customs Broker, after thoroughly auditing our processes and provisions for cargo security. At InSynergy we are committed to provide our clients with the world class services that are customized to suit their specific needs. Our tailor made solutions, sets us apart from the run-inthe- mill kind of operations followed by most. 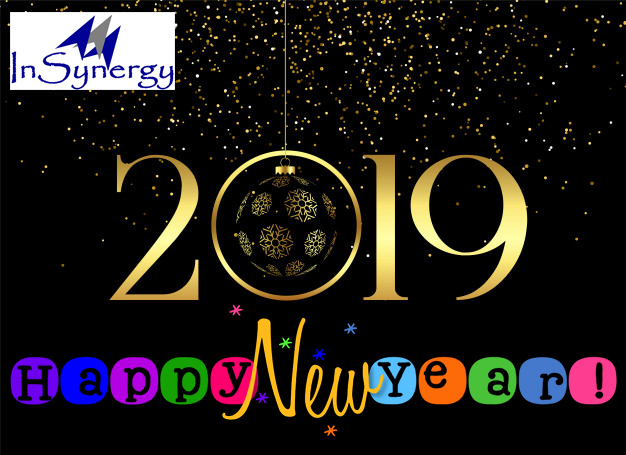 InSynergy is a member of Association of Multimodal Operators of India (AMTOI) with an endeavor to have a harmonious maritime community to bring consensus amongst all segments of our community, whilst making representations to various authorities and promote Multimodalism in India. © Copyright 2017,Insynergy Supply Chain Solutions (P) Ltd. All Rights Reserved.